Note: Last year, I participated in two different preschool co-ops--one for Aaron and one for Maxwell, and both of them were fabulous. I'm trying to be optimistic that this year's co-op will measure up, but we'll see. I've been slowly writing up my lesson plans from the past year. This is one that I did with Maxwell's group last March. For more of my preschool posts, click here. When I found out that my week to teach would fall on the letter S, I immediately gravitated toward snakes. Not because I have any immediate fondness for the creatures (I definitely do not) but because it is so easy to talk about what sound the letter S makes when in reference to snakes. 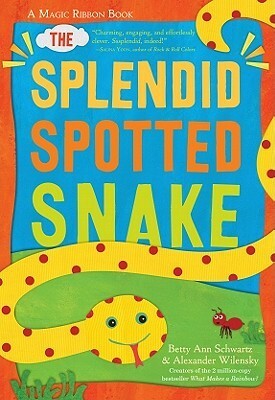 One of our favorite books is The Splendid Spotted Snake by Betty Schwartz and Alex Wilensky. 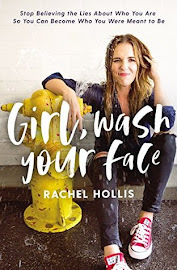 I talked about it in greater detail here, but I had a feeling that with its colorful snake that magically grows and its catchy rhymes, it would be the perfect book to begin our lesson with. The children loved it, and after we read it, we met around the table to make our own colorful snakes. The night before, I cut out a snake-shaped head for each child and also a big stack of red, blue, yellow, green, and black rectangles. For the body sections, I told them they could try writing the letter S or just decorate them any way they wanted to. They glued on tongues, and then I used a small hole punch to make holes in each end of the rectangles. Then we put brads through the holes to join all the pieces together. 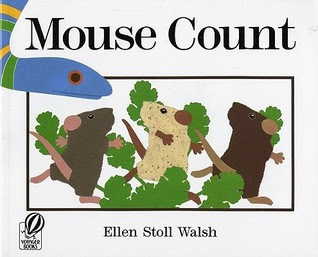 The other book I decided to use with this unit was Mouse Count by Ellen Stoll Walsh. It's about a hungry snake who goes looking for some lunch. Ten little mice, all fast asleep, turn out to be easy prey, and soon he has collected all of them in a jar. He is just about ready to begin his feast when one of the mice points out a big "mouse" (i.e., a rock) in the distance. Although ten mice should have been plenty, the snake is greedy, and while he is gone, the mice manage to escape. 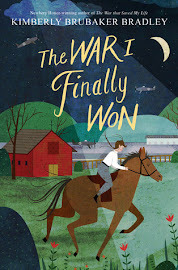 Besides being a great story, it also focuses on counting (although, I have to admit, I find the counting to be a little confusing to kids since it's broken up with text). I thought this would make a great flannelboard of sorts (without the flannelboard). I found a picture of a mouse that I liked, copied it ten times, and laminated it. I also gathered a snake, a jar, and a rock. After reading the story, we acted it out. I hid the ten mice around the room, and then the children got to take turns being the snake and putting the mice in the jar. At the end, we tricked the snake and all tumbled out of the jar and ran away to safety. 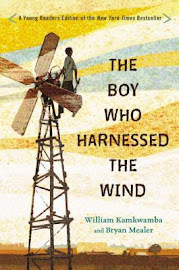 The kids loved this story . . . both listening to it and acting it out. Then we talked about how snakes use their tongues to smell. Even though our tongues can't smell, we decided to use them to try and identify different flavors. I made three different kinds of pudding: vanilla, lemon, and chocolate (above is just the vanilla). The idea was for them to dip their tongues in the pudding and try to figure out what they were tasting. Some of the kids didn't want to be blindfolded, which was totally fine, so they just closed their eyes (or, let's be honest, used some of their other senses to aid them in figuring it out). But a couple of them were adventurous and tried the blindfold. It was fun to watch them put their minds to work and think about what they were tasting. One thing I was surprised to discover is that kids (at least these kids) don't like pudding nearly as much as I thought they would. Chocolate was pretty much the only flavor that was even a little bit tolerated. Besides the letter S, the number of the week was 19. I realized that making 19 that much different from 18 or 20 is a real challenge! I decided that I wanted them to be able to get a visual picture of just how many 19 is. I cut up a bunch of straws (I chose straws because they start with the letter S). I gave each child a little bag of 19 of them and then told them they could use those 19 straws to create whatever sort of picture they wanted, but I did want them to try and use all of them. Some of the pictures were orderly (I just squeezed out the glue in the shape of a house). For our last activity, we played a little game with straws. Each child got a straw and a pom-pom. They had to place their pom-poms at the starting line . . .
. . . and then use their straws blow their pom-poms across the table. The person whose pom-pom fell off the table first was the winner. Try as I might, I couldn't figure out what pom-poms or straws had to do with snakes, but it was still fun.